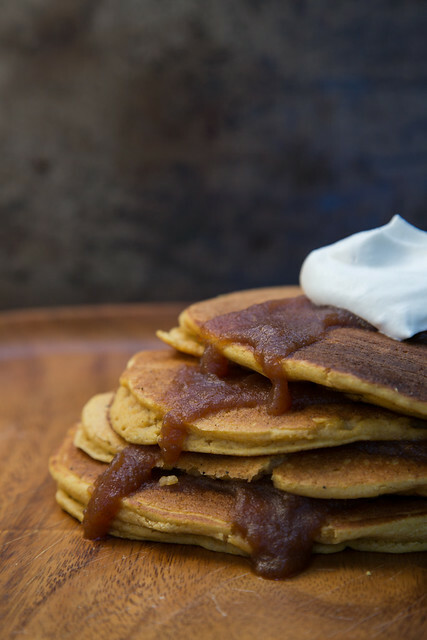 You need to add these pancakes to your fall recipe arsenal. 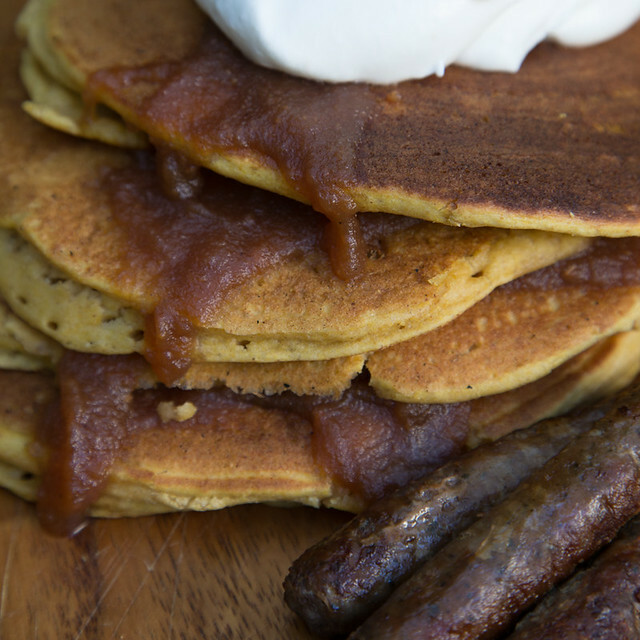 These pancakes are not too sweet, they’re just hearty and delicious. You can top them with whipped cream & syrup, or asian pear butter, OR top these babies with some BBQ. BBQ or maybe even a savory sweet potato and turkey hash. If you want to get crazy these pancakes will let you, so get wild. Sift dry ingredients together. Add eggs and milk and pumpkin, stir gradually to make a smooth batter. Add the butter. Cook on a griddle or in a skillet. Make sure surface is hot enough by sprinkling a few drops of water on the surface – if it bounces you’re good to go, if it just sort of puddles and boils it’s not hot enough. Once the surface is hot enough, if you serve these pancakes with bacon or sausage, use a little of the juices to wipe down your griddle or skillet, then go for it! Cook on one side until the pancakes are full of bubbles, then flip them over and brown the other side. Go forth, get crazy, and enjoy these pancakes however you choose! !